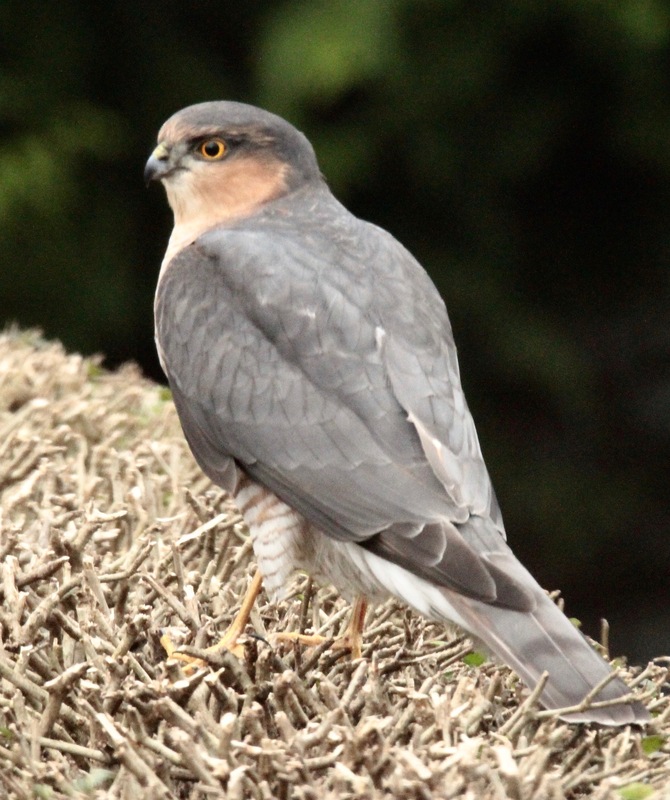 This gorgeous male Sparrowhawk flew into the garden to remind us that the RSPB’s Big Garden Birdwatch is this weekend. 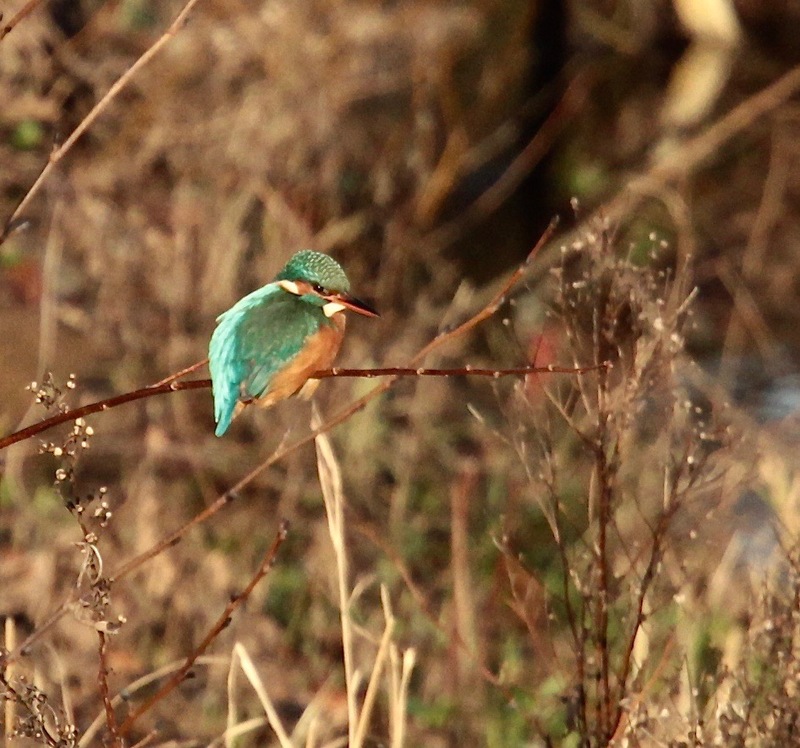 The biggest citizen-science scheme in the world, if you put it in your search engine you will find simple instructions, a bird guide and a form so all you have to do is watch and record birds in your garden, park etc for any hour over the weekend. 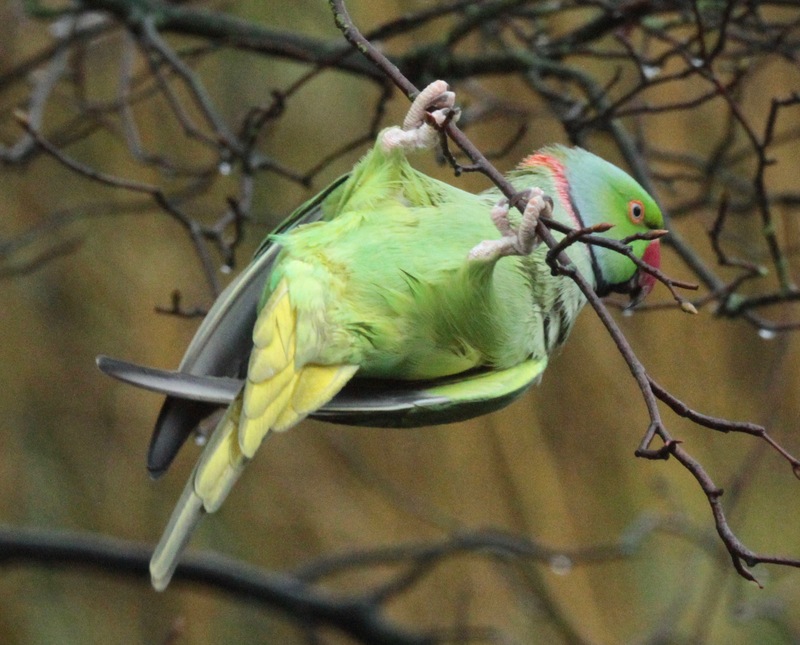 We have been lucky to have an astonishing 24 species visit our Sheffield city garden this week(we also do the BTO weekly recording so we look most days) but the RSPB are just as interested in low recordings- it is a survey to monitor bird trends. Conditions: Rain, cloud and some sun. Temperature: Max 7- Min 1C. 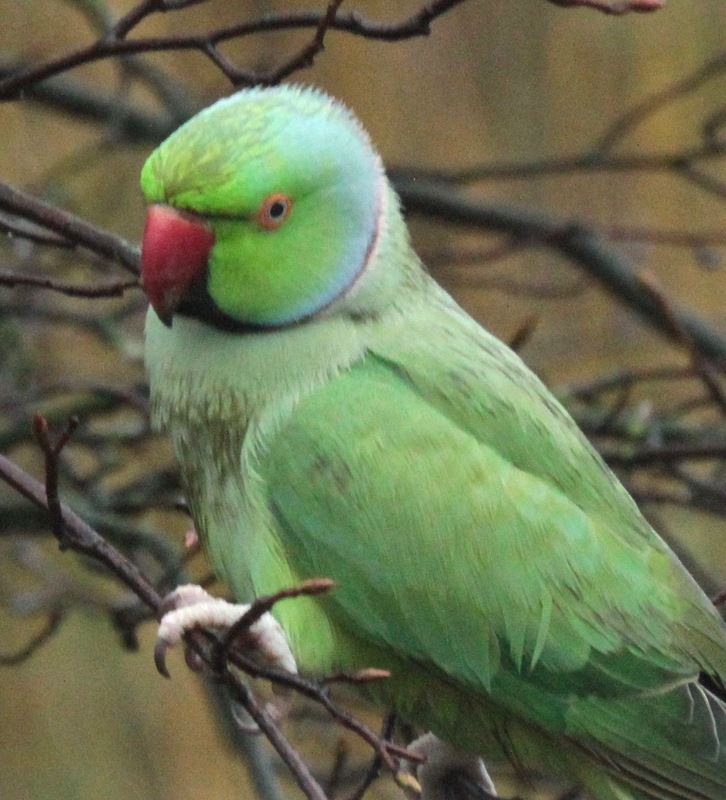 confine themselves to suburban areas.The RSPB is awaiting detailed scientific study before deciding. Conditions: Grey and cold. Temperature: Max -1 Min -2C. 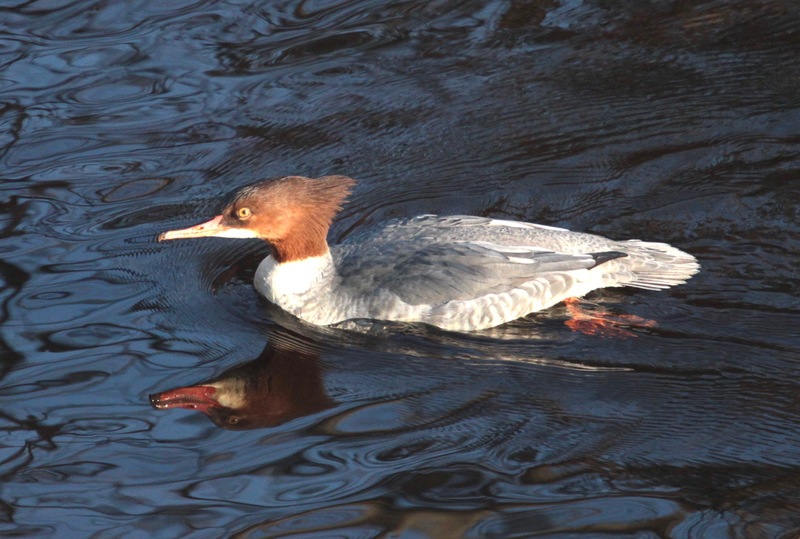 What sights this morning along the River Don, from Neepsend Bridge to Lady’s Bridge, we were lucky to watch a female Kingfisher (unlike the male, the female has an orange underside to its bill), too far for a close up but stunning, bathing for many minutes in the sunshine, a Grey Wagtail and a beautiful female Goosander. All this on a half-mile stretch in the city centre, and from an all-round car trip of 2 miles from our house! Conditions: Frost, sun and building cloud. Temperature: Max 5- Min 0C. 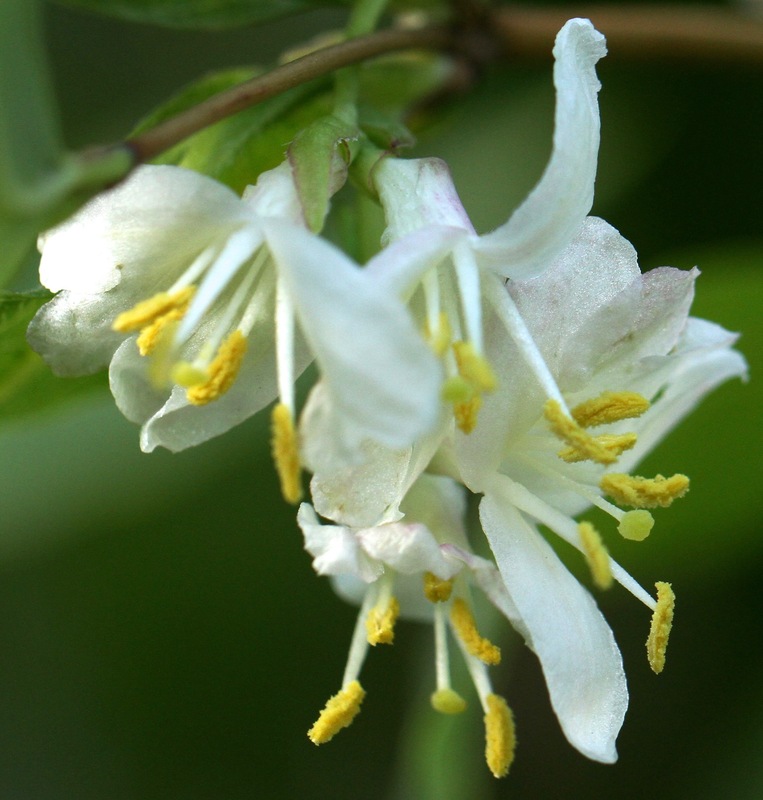 Scented shrubs good for wildlife in winter gardens– two of my favourites are Daphne Jaqueline Postill and Winter Flowering Honeysuckle (Lonicera Fragrantissima, also know colloquially as January Jasmine). Even better, they will also benefit Bees and Butterflies, any winter day over 10C, when they stir from semi-hibernation and search for nectar. 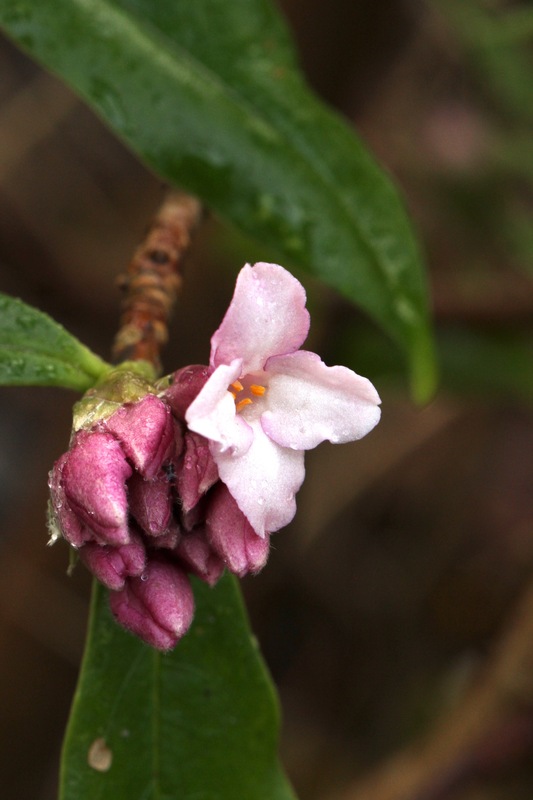 Meanwhile this Daphne scents the front garden with Attar of Roses and the Honeysuckle’s citrus scent carries through the back. 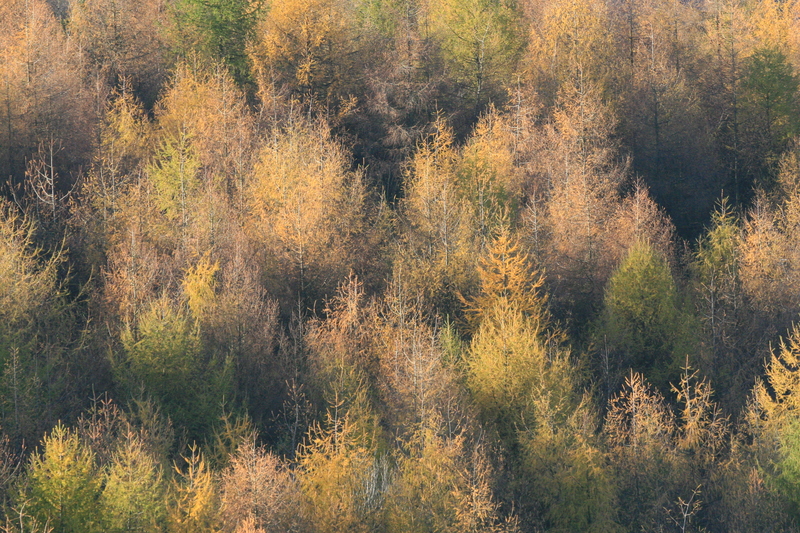 Conditions: Grey and still again after yesterdays crisp, bright sun. 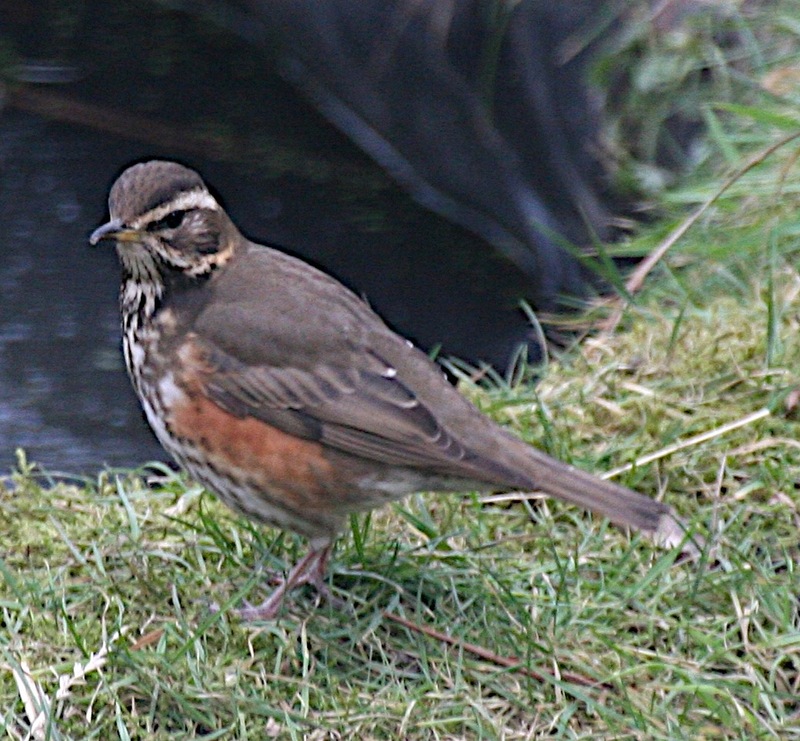 Temperature: Max 5- Min -1 C.
Redwing visited again this week- our smallest Thrush, and one that, except in Northern Scotland, is only a winter visitor to the UK, flying in from Scandinavia and Iceland. 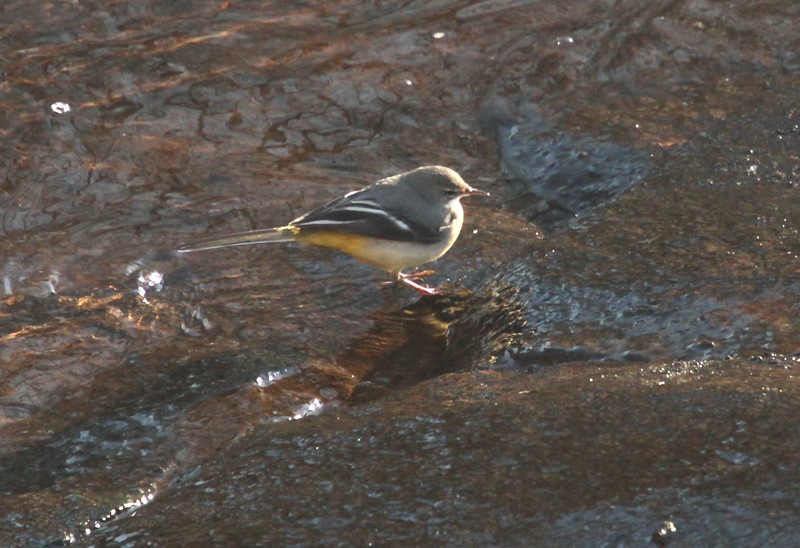 We’ve had very few winter migrant birds turn up so far this year, of any species, perhaps due to the relatively mild weather and intense crops of Hawthorn berries etc in the wild. 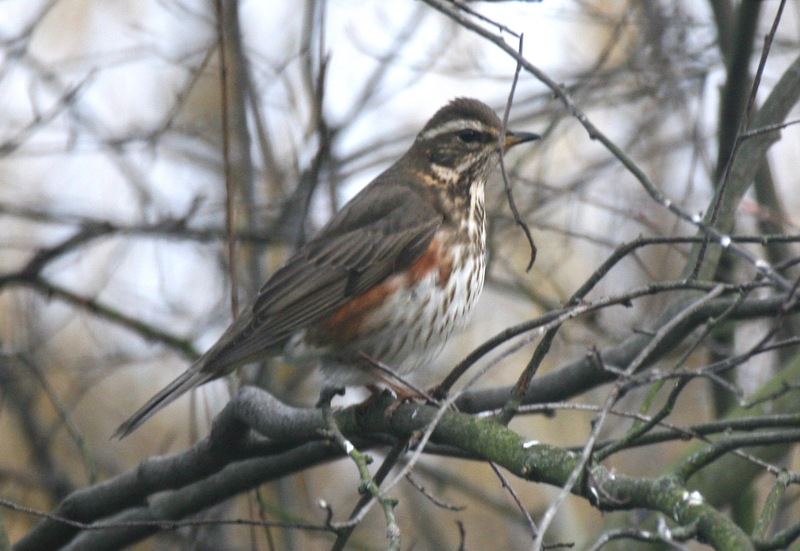 Redwings, arriving in small flocks, are always a pleasure, with their cream ‘eye-brow’, brick-red flank-patch and dark blotched chests. 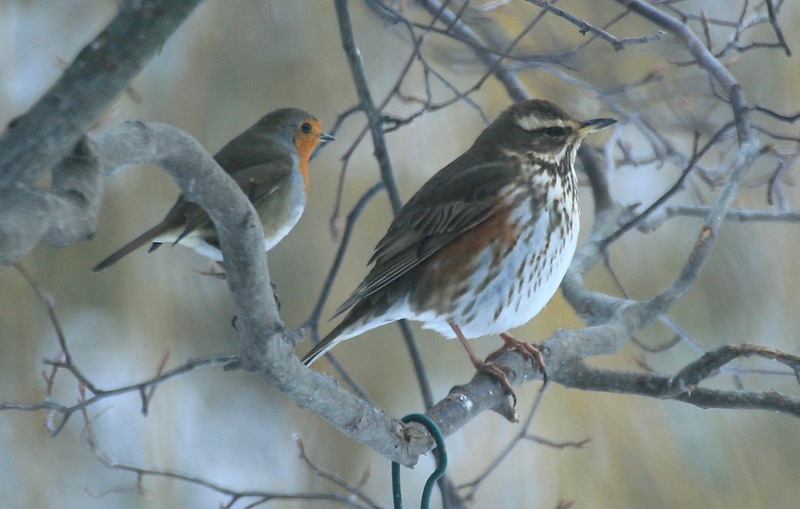 Look out if you see them, in car-parks, parkland, along hedgerows or on ploughed fields, as they may be in a mixed flock with the bigger winter thrush, the Fieldfare. Conditions: Cloudy, still and dull few days. Temperature: Max 9-Min 6C. Larch- back in the country, here’s another of the occasional series on conifers. 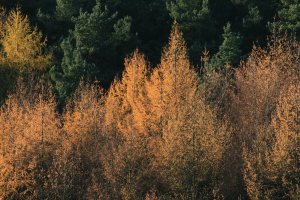 The Larch, the only European native deciduous conifer, was introduced to the UK in the 17th century, planted extensively because of it’s fast growth-rate and resistance to rotting when used for timber. 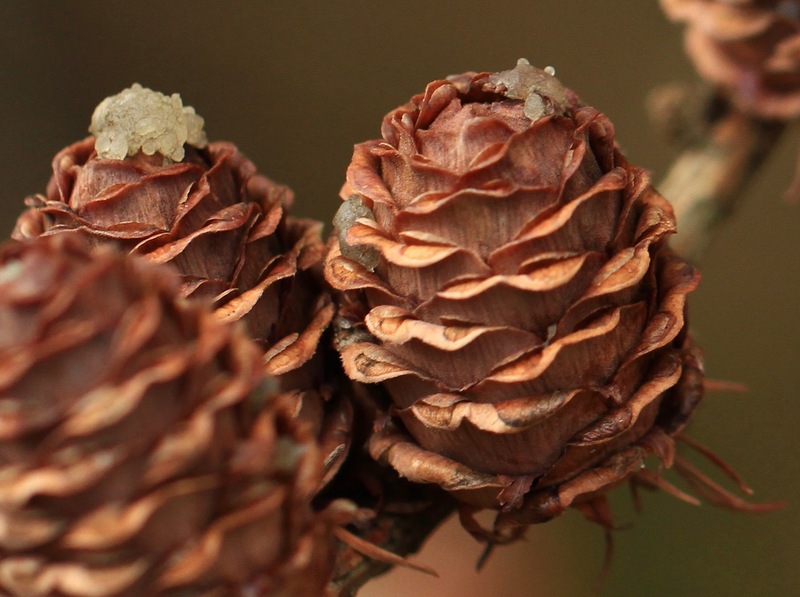 Thought to be enchanted, it was worn or burned to keep away evil spirits. 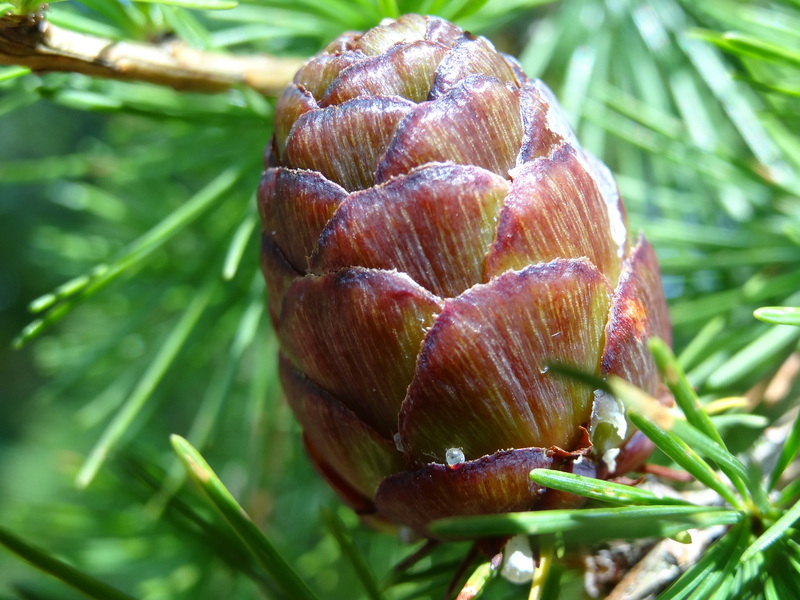 It’s tufts of soft needles are a beautiful lime-green in spring and gorgeous foxy-colour in autumn, before falling, leaving lovely cones. 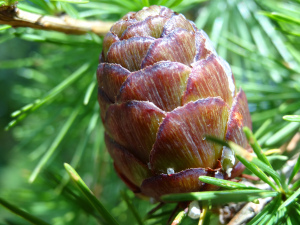 Larch is good for birds (Siskin and Redpoll), Red Squirrels and many moths.